Ginseng is often recommended by Herbalists for those with chronic fatigue syndrome, fibromyalgia, stress, and more. Encapsulated high authentic Siberian Eleuthero (name changed from Siberian Ginseng) root with a guaranteed natural potency of .065% eleutherosides. 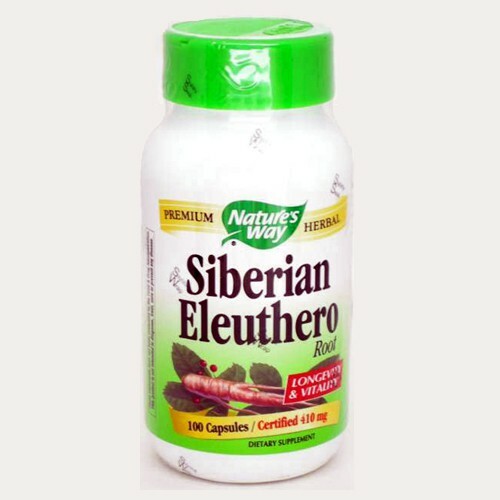 Siberian Eleuthero improves physical an mental vitality. It is an adaptogenic herb, which helps the body to adapt to daily stress. It is an ideal supplement for those leading a demanding and hectic lifestyle. Directions Take two capsules three times daily with water at mealtimes or prepared as a tea.